UK distributors may be operating in a tough economic landscape, but the allure of a Bafta remains as strong as ever. 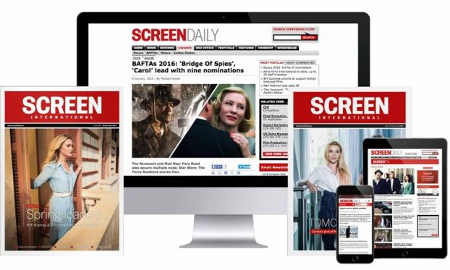 Even with an awards campaign costing “thousands and thousands” according to insiders, distributors are running myriad screening campaigns, hosting talent Q&As and sending out screeners in the run-up to the 2010 Orange British Academy Film Awards on February 13. But while distributors may still be ready to mount solid campaigns, they are not prepared to fritter away money on meaningless extras in the current climate. “It can be expensive,” says Hugh Spearing, head of marketing at Optimum Releasing. “We’re not a distributor who goes crazy. We want to back films which we really believe in, performances we really believe in and British movies as well.” This year Optimum is pushing such titles as Brighton Rock, Four Lions, The Ghost Writer (aka The Ghost), new pick-up Blue Valentine and Biutiful. Campaigning for a Bafta is neither cheap nor easy (see sidebar). “People like to imagine it is smoke and mirrors and we have all sorts of tricks up our sleeves. [But] it’s just plain hard graft,” says Premier PR’s Liz Miller, an experienced Bafta campaigner. With nearly 1,500 members in the US, it is also a Transatlantic undertaking. Campaigning around Bafta season intensified when the Bafta awards moved to a pre-Oscar slot nearly a decade ago, establishing the event as a key Oscar bellwether. “The Baftas will have a bigger effect on the American Academy Awards than any other [international] awards ceremony,” notes Number 9 Films’ Stephen Woolley, producer of Made In Dagenham. Last year, Lionsgate and Optimum joined forces to release Kathryn Bigelow’s The Hurt Locker: Optimum handled theatrical while Lionsgate looked after the DVD. The Bafta nominations gave new momentum to a film which had been released many months earlier. Optimum successfully re-issued the film theatrically and when Lionsgate put it out on DVD in early January the Bafta nominations and wins — followed by similar Oscar success — saw The Hurt Locker sell rapidly; it has now shifted 1.2 million units on DVD. It is not just the prospect of bigger box office or enhanced DVD sales which drive Bafta campaigns. The majors, in particular, have to think about talent relationships. Top producers, film-makers and actors will want to see their work promoted as aggressively as possible. If it is not, those relationships may suffer. Every film entered for the Baftas has to open in the UK before February 11. Every year, one or two potential awards contenders will inevitably miss the deadline. There is also sometimes a logjam as many of the year’s brightest prospects are given release dates in the same two-month window. As a result, one key goal for anyone running a Bafta campaign is to encourage as many voters as possible to screenings in cinemas. This year, late December and January are crammed with prestigious movies which are tilting at Bafta nominations including The Way Back (Entertainment One UK), 127 Hours (Warner Bros/Pathé), The King’s Speech (Momentum), The Next Three Days (Lionsgate UK), True Grit (Paramount), Black Swan (Fox), Morning Glory (Paramount), Biutiful (Optimum), Barney’s Version (Universal), Hereafter (Warner Bros), How Do You Know (Sony), The Fighter (Paramount/Momentum), Brighton Rock (Optimum) and Never Let Me Go (Fox). Still, titles released earlier in the year, such as Revolver’s Exit Through The Gift Shop, are also being given a Bafta push. Bafta, unlike the Oscars, allows campaigners to stage Q&As. This has helped to strengthen ties between the awards and the London Film Festival (LFF), held in October. If international talent is lured over to the LFF to attend red-carpet premieres and junket interviews, it makes sense to capitalise and try to put that talent in front of the Bafta members. The Bafta campaign will also often be linked to the UK release campaign. Online is also creating new opportunities for distributors. For example, certain foreign-language titles, including The White Ribbon andA Prophet, were last year made available for members to download while distributors can make talent Q&As available for members to view online. Essential — but the expense can be daunting. For a film being pushed hard, up to six London screenings will need to be organised, each costing around $940 (£600) each — and add to this the cost of New York and Los Angeles screenings for US-based Bafta members. Some 1,470 of Bafta’s 6,330 members are in North America and it is important not to overlook these people, who often have a strong influence on what will be nominated. And have some snacks ready: “The provision of food is permitted, but not on a scale where it could be seen as an inducement,” reads the Bafta rule book. “It’s pretty axiomatic that if you don’t send screeners, you don’t get Bafta nominations,” declares Liz Miller of Premier PR. Distributors who are really interested in winning nominations will have to swallow the cost of manufacturing and posting 6,000 DVDs. The piracy issue remains in the foreground — DVDs are likely to be watermarked. They may have to be sent special delivery, ratcheting up the costs yet further. “With the most extensive screening programmes, the most members you can hope to get to see a film is less than 1,000. You can see that the screeners are essential,” one leading publicist points out. For those who resist, there is the cautionary tale of Clint Eastwood’s Million Dollar Baby in 2005. The multiple Oscar winner was overlooked by Bafta voters as so few had seen the film. UK distributor Optimum received plaudits last year for producing a box-set Bafta DVD package which included such titles as A Prophet and The Hurt Locker. Those running Bafta campaigns should pay attention to the rules stating the “Academy encourages distributors to host Q&A sessions following screenings with either cast or crew members, as a valuable means of better informing members.” These Q&As may be filmed and made available to the membership online. They may also be included on Bafta DVD screeners as ‘extras’. Talent at Q&As in London this year has included Darren Aronofsky and Natalie Portman for Black Swan, Jeff Bridges for True Grit, David Fincher and Jesse Eisenberg for The Social Network, Michelle Williams and Ryan Gosling for Blue Valentine, Chris Morris for Four Lions and Paul Giamatti, Rosamund Pike and Robert Lantos for Barney’s Version.